Cloudways offers managed web hosting solutions that enable users to choose their server and cloud infrastructure from several providers. Its features include advanced server management, global data centers, and dedicated firewalls among others. 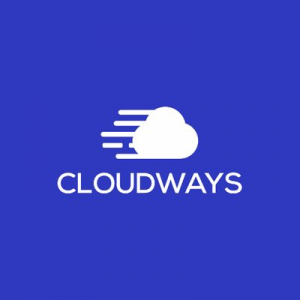 In this article, we cover Cloudways reviews and pricing. Ready to get started? Get a free trial. Users who gave Cloudways a positive review like its pricing scheme and selection of several cloud providers. They added that its interface is user-friendly and setting it up has been a breeze. One user who left a positive review of Cloudways on G2 Crowd commented that it has a robust control panel that is easy to use. He added that even non-techie persons, such as himself, won’t have a difficult time navigating through its interface. Users who gave Cloudways a negative review noted that the support team’s response time can be a little slow at times. A few others suggested improvements to some of its features, such as enhancing its Rackspace email functionality and adding more detailed online documentation materials. One user who left a negative review of Cloudways on Capterra said that the support team provided good answers to his questions, but their response time when addressing service tickets can be a little slow. The Cloudways pricing scheme covers several plans for different cloud providers: DigitalOcean (starts at $0.0139/hour), Linode (starts at $0.0167/hour), VULTR (starts at $0.0153/hour), Amazon Web Services (starts at $0.0507/hour), and Globe Cloud Platform (starts at $0.0463/hour). The main differences between the plans are storage size, RAM, & bandwidth limits. Interested users should note that Cloudways follows a pay-as-you-go pricing scheme. All plans come with free SSL certificates, free migration, unlimited app installations, and 24/7 expert support. However, its offsite backup storage service costs $0.033/GB per server. Ready to get started with Cloudways? Get a free trial. The free trial lasts for three days. The said time period will start upon the creation of the trial server. Can I have multiple servers on separate pricing plans and cloud providers? Yes, you can. You may have multiple servers that are under the same pricing plans and providers, or you may also separately choose different hosting plans and cloud providers for each server. Have you read these Cloudways reviews and are still not sure if it’s the right fit for you? 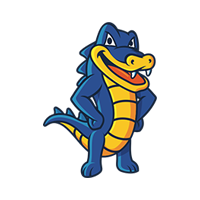 Read our reviews of all top web hosting provider or check out one of these three Cloudways competitors.